Tickets still available for the Valentines Ball! The reason you should come? 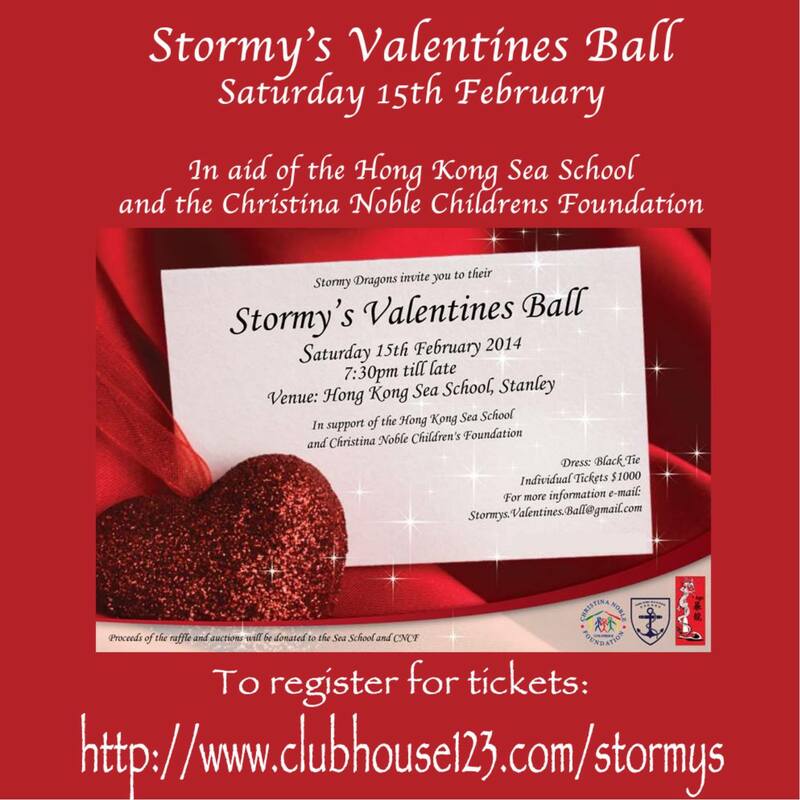 This event raises lots of much needed funds for the Hong Kong Sea School and the Christina Noble Foundation. Tickets available by clicking this link! This entry was posted in Stormy News by Stormy Dragons. Bookmark the permalink.